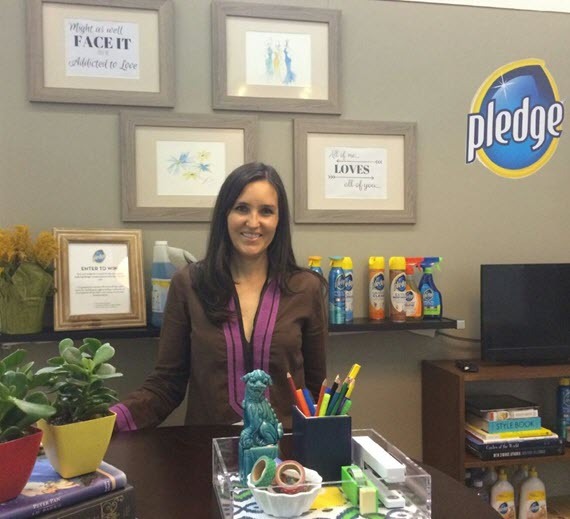 Last weekend, I had the pleasure of sharing design and cleaning tips with BlogHer 2014 attendees for Pledge® in SC Johnson’s booth. The overall booth (so cute!) represented the general living areas in a home including the kitchen, bathroom, bedroom, backyard and living room. My space with Pledge® was the living room. A place we entertain, relax, eat, play and sometimes even catch a nap. Because of it’s multi-function, maintenance is important to ensure it looks its best. 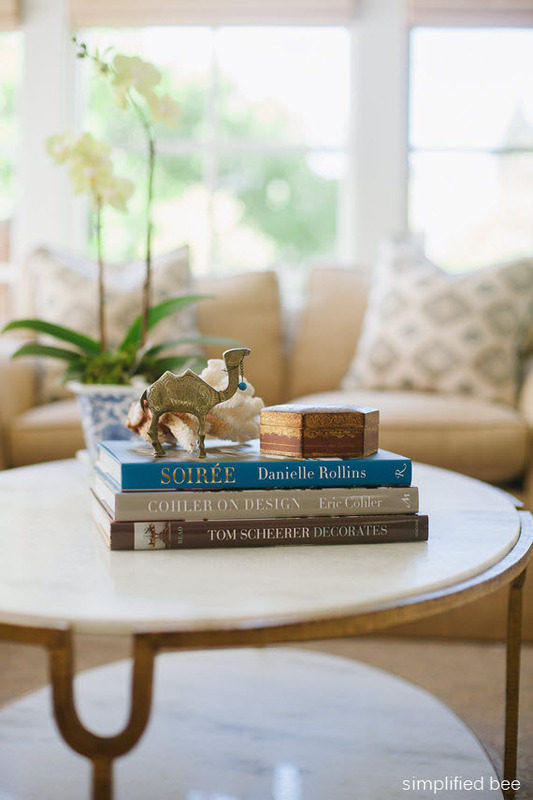 Regardless of your style or living room design, you’ll need a clean space to make it all work. 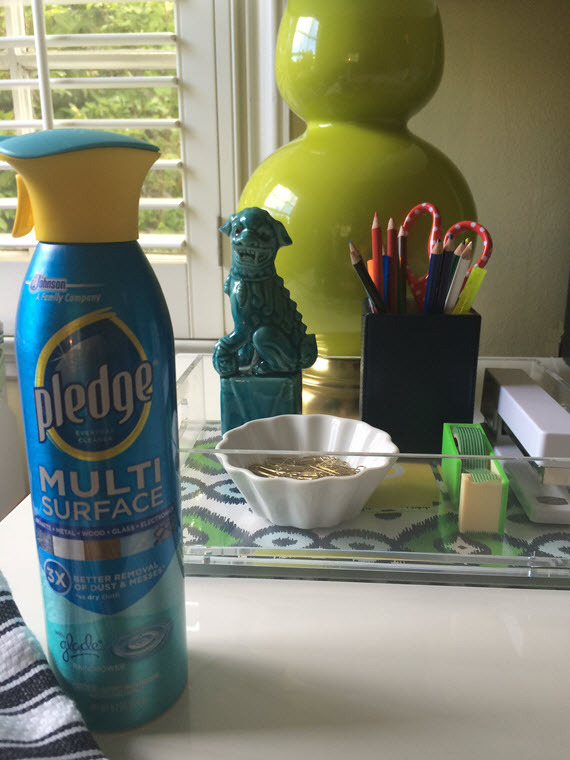 Pledge® brand products can be used on nearly any surface to quickly refresh your furniture and floors. It resets your home and makes it more vibrant and inviting. GET ORGANIZED! Trays are a secret weapon for bringing color to any surface. Clear or acrylic lets you see everything you’re storing. You can give a tray extra personality by adding a splash of color or wallpaper. Trays are also great to corral all the items in your living area. USE WHAT YOU HAVE. Design can come from the most unexpected placed, even from the things you already have. Stack your favorite books to make a statement centerpiece or even a creative doorstopper. MAKE IT PERSONAL. Make a space your own is the name of the game. It’s all the little things that can give a room some life. Frame your kid’s drawings or put up your favorite song lyrics. It’s something completely unique to you and your family and won’t cost a lot. Pledge® has got you covered to bring your floors back to life. Just a few quick steps, and your floors are reset. 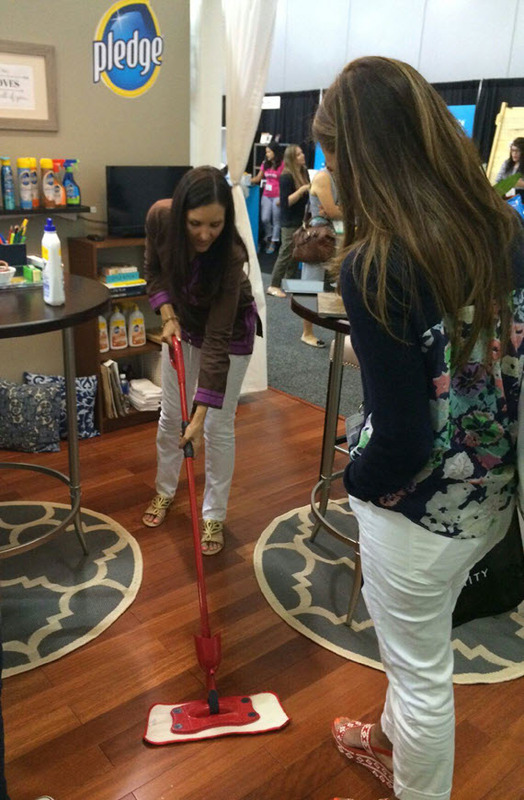 Here I am showing how easy it is to clean with Pledge® Squirt and Mop. It was that easy. Really. Best yet, as it cleans, it protects your hardwood and multi-surface flooring. A win-win in my book! 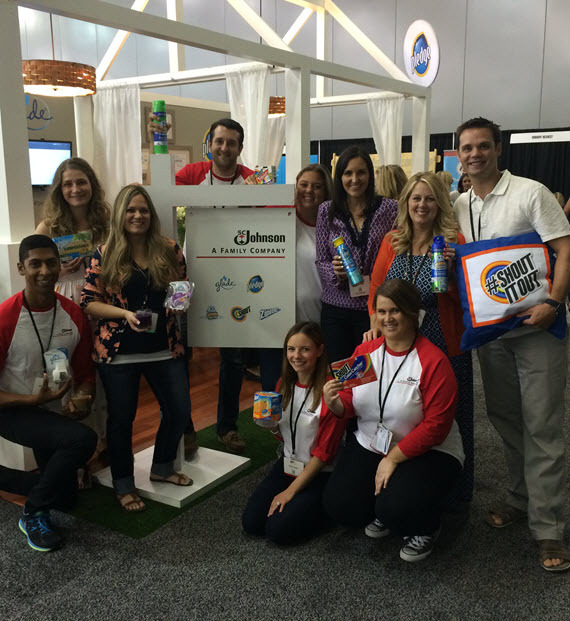 Here’s an image of the whole booth crew including authors and bloggers, Anthony DeBenedet, MD (The Art of Roughhousing) for Shout®, Cheryl Sousan (TidyMom) for Scrubbing Bubbles®, Katie Nathey (Upcycled Treasures) for Glade® and Joanna Hawley (jojotastic) for Ziploc®. We were a happy bunch and had a great time. A big thank you to SC Johnson for including Simplified Bee! Share how you reset your living room using the tips above on Pledge’s Facebook or tagging @SimplifiedBee on Twitter and Instagram using hashtag #Pledge2Reset. *disclosure: this post was sponsored by Pledge, however all opinions are my own (as always).